Partial fraction decomposition can be done for rational expressions of the form P(x) / Q(x) where P(x) and Q(x) have no common factors and the degree of P(x) is less than the degree of Q(x). Partial fractions decomposition means expressing P(x) / Q(x) as a sum of fractions. 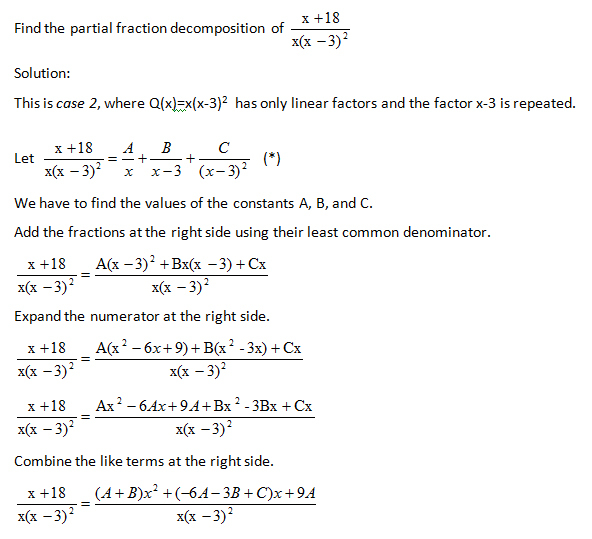 The denominator Q(x) determines how the partial fraction decomposition will be done. Q(x) is a product of distinct linear factors. Q(x) is a product of linear factors, some of which are repeated. Q(x) has distinct prime quadratic factors. Q(x) has a repeated prime quadratic factor. This lesson covers cases 1 and 2. Since the fractions at the left and right sides have the same denominator, it follows that they have equal numerators. 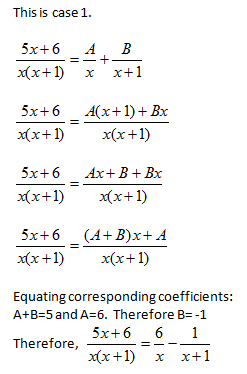 Therefore, the coefficients of x are equal and the constant terms are equal. 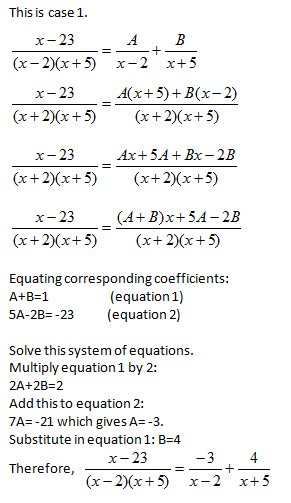 Solve this system of equations. Adding the two equations: 3A=9 or A =3. Substitute in equation 1: B=1. Since the fractions at the left and right sides have the same denominator, it follows that they have equal numerators. 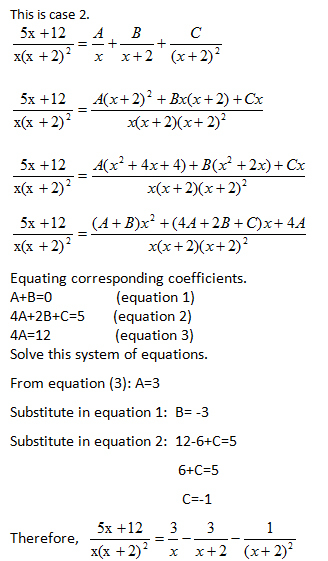 Therefore, the coefficients of x2 are equal, and so with the coefficients of x and the constant terms. 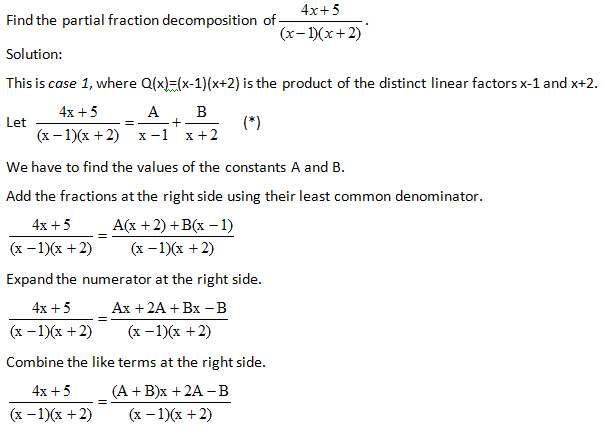 Find the partial fraction decomposition.